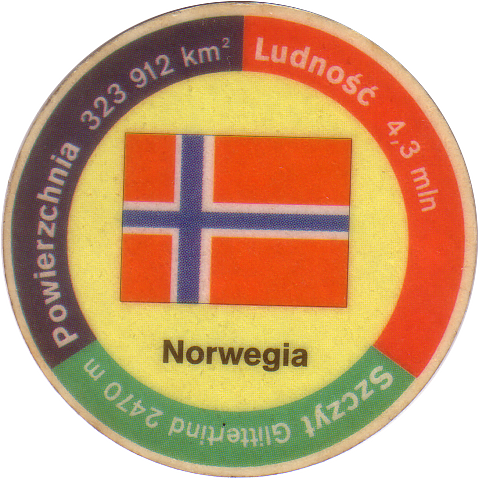 Info:These caps were given away with snacks sold by Star Foods in Poland. 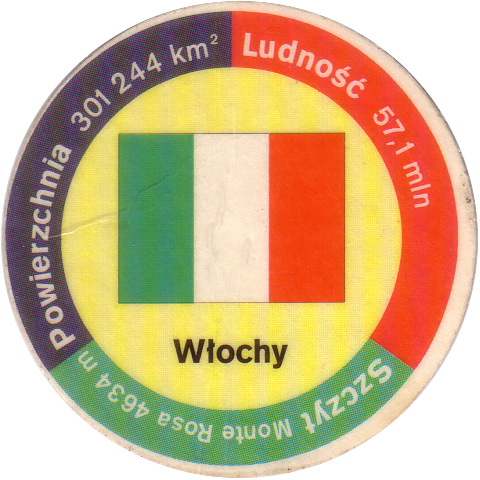 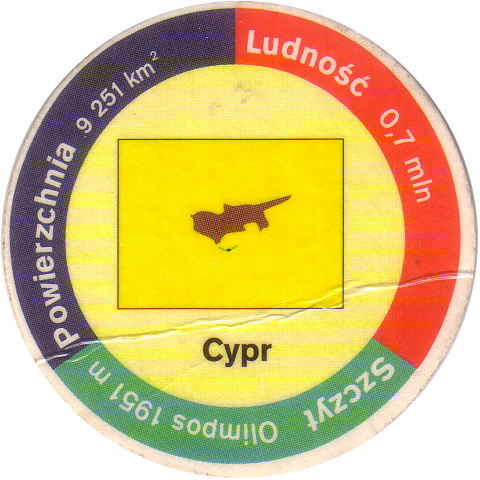 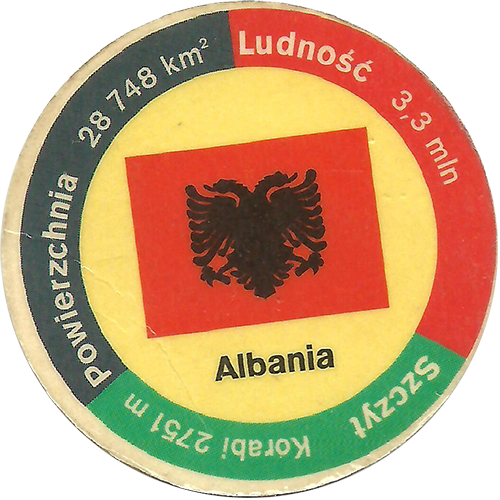 Each cap features the flag of a country with the country's name below. 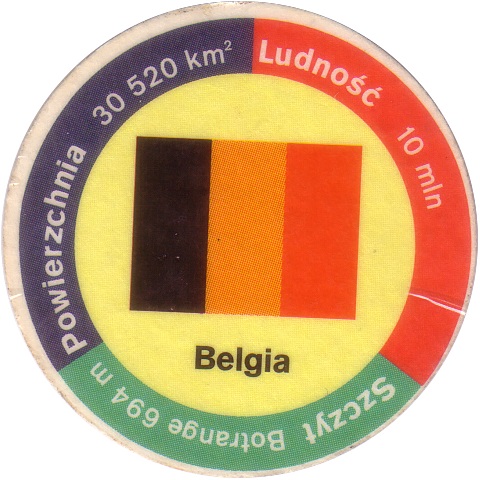 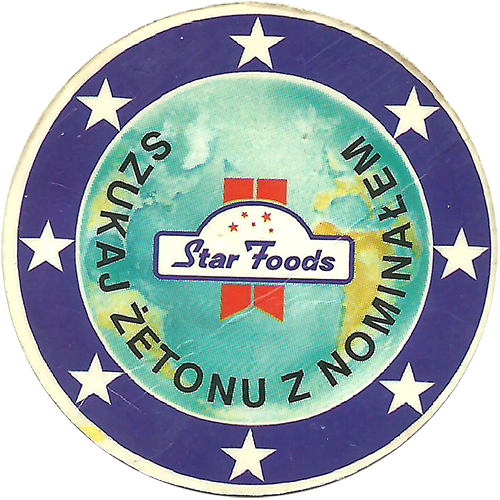 The backs have the same design with the Star Foods logo and the text Szukaj żetonu z nominałem . 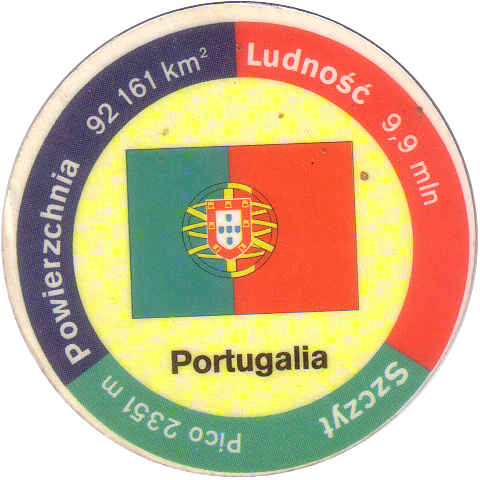 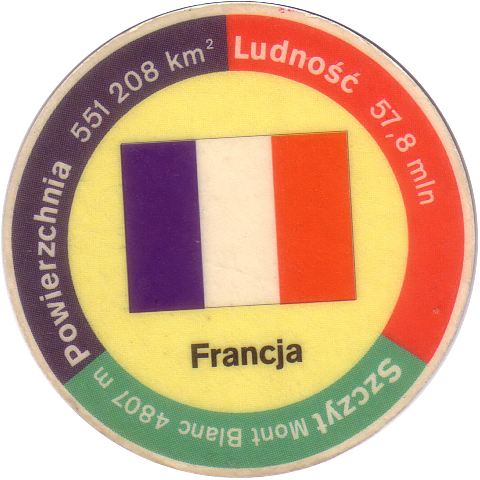 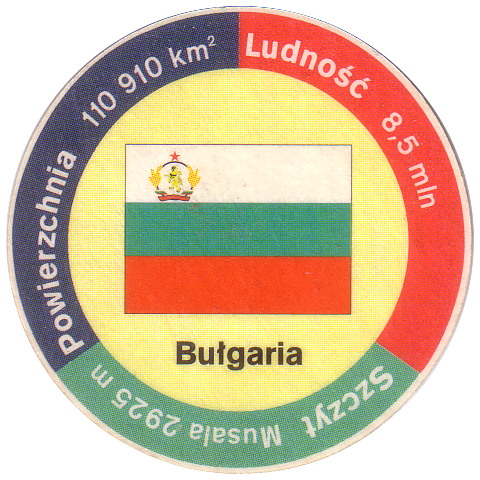 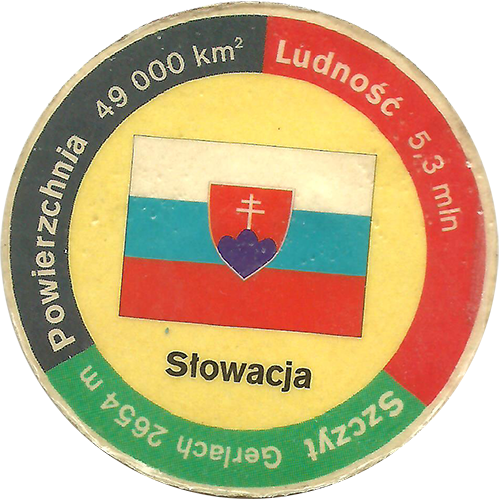 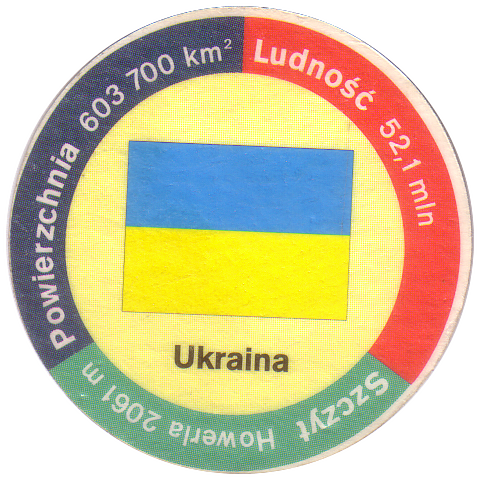 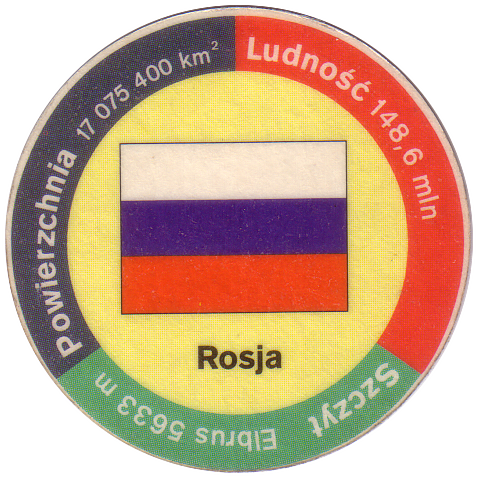 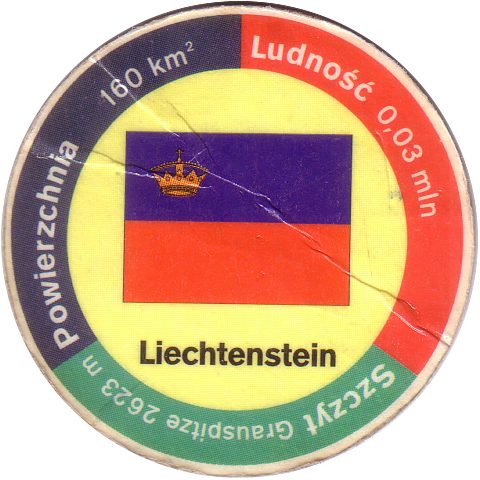 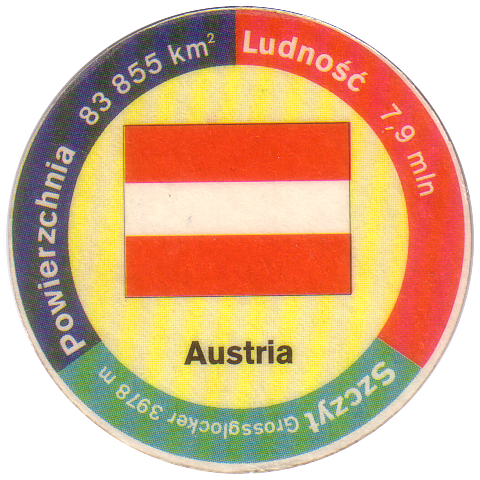 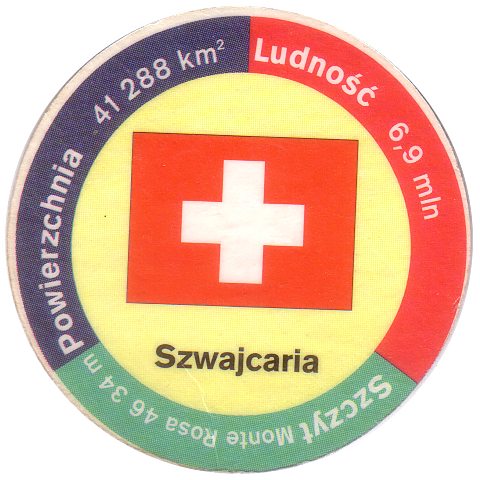 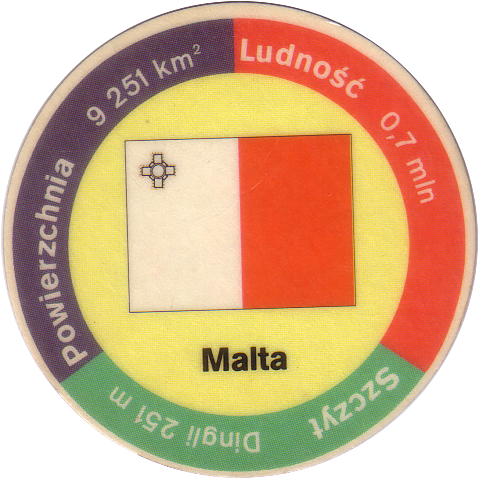 See also the Star Foods Currencies and Countries pogs, which have a similar design on the front but show the country's currency on the reverse. 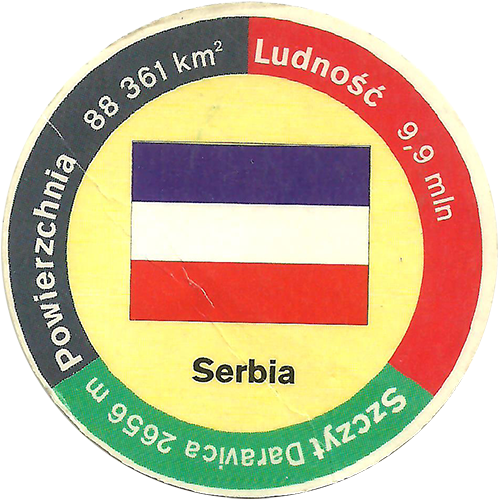 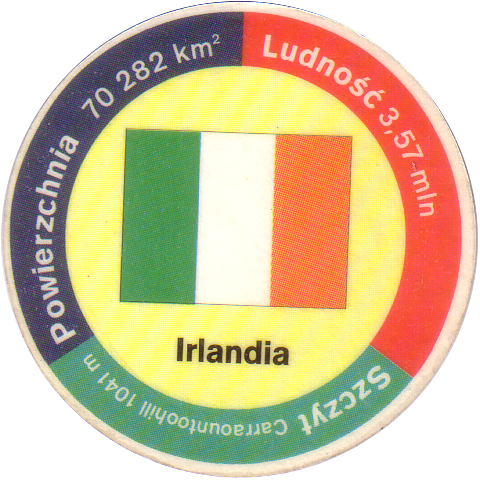 And the Countries (No text on back), which have the same back design as this set, but are missing the text on the back and appear to feature a different set of countries. 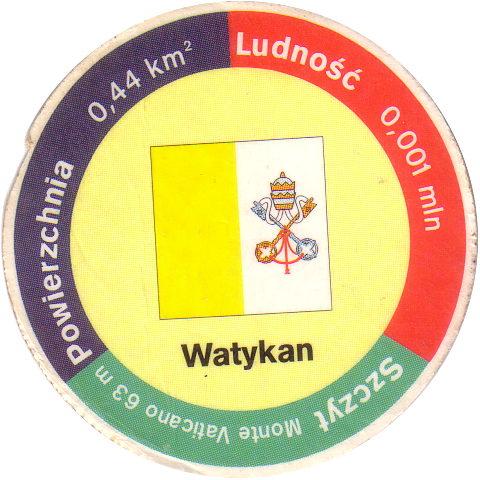 Thanks to Matthew for some of the scans.